It’s NOT Magic; It’s Science! Some of the fondest memories that I have of my childhood include the magic of the holidays. As a child believing that a mystical being would surprisingly arrive at your home to leave gifts and candy was amazing. I mean really, what could be better than finding an Easter basket filled with candy, or waking up to find money left under your pillow in exchange for a lost tooth, or the mother of them all, waking up on Christmas morning to find a room filled with toys and candy. As an adult thinking back on those days I find it simply amazing that so many people were in on keeping that magic alive. Friends, family members, teachers, neighbors, stores, media and complete strangers were all part of building that magical, mystical time of our lives and we believed it no matter how inconsistent the stories were. We wanted to believe it because it was magical and simply awesome. But unfortunately we grow up and are eventually let in on the big secret of what happens behind the magical curtain. Oh sure, it’s devastating as a child to be told about the big lie, the big secret. As a father myself, I have become all too familiar with what it takes to keep the holiday magic alive for my children and someday for my grandchildren. As an adult I have learned the difference between believing in magic and believing in scientific facts and data. This is probably one thing that led me to starting a company that is passionate and dedicated to providing fact based real environmental solutions for plastics and rubber. In heading up such a company I have been amazed to learn that some adults have hung onto the belief that magic still exists! Being part of environmental company focused on solving the global plastic pollution problem I have seen and heard quite a lot of amazing, bizarre and flat out crazy ideas and beliefs. Over those past seven years. I have seen firsthand just how cutthroat so called “environmentalists” can be to others. There are a lot of opinions out there as to what the best approach is to solving our environmental problems, and there are still people out there that believe in magical solutions to our environmental problems. I have actually heard grown adults call the process of biodegradation; magical, make believe, and mystical. And although the microscopic world is magical to describe – it is not magic at all – its science. This leads me to the point of this article, it is not magical thinking, voodoo, or other types of mystical conjuring or hopeful thinking that is going to solve our global environmental (specifically plastics) pollution problems. Its downright solid science! Science based on the realities of having shelf-stable products, our consuming habits, and factual assessments of the conditions and infrastructures currently handling our plastic waste. All that scientific data is then used to develop solid solutions for addressing plastic pollution and waste “TODAY”, not tomorrow, or sometime in the distant future! 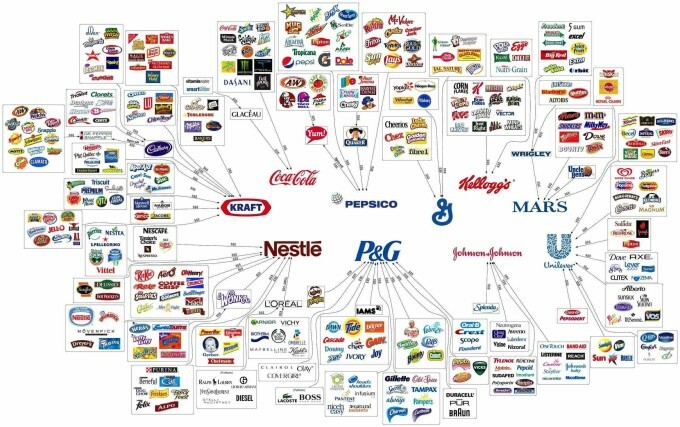 Too many times we read articles or press releases by companies announcing some future plan to address the plastic waste that their products and product packaging are producing. They usually say some absurd comment that by 2020 or some very far out there timeline, that they will have a solution to address the waste that their products produce, or even worse they do nothing tangible and announce that they support the recycling of their product and packaging and yet the realities are that their product/packaging isn’t recycled. 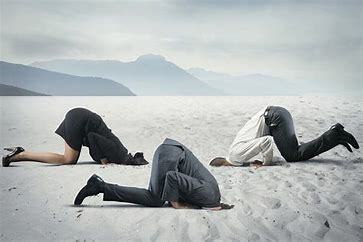 There are even others who promote personal opinions as fact or they make up magical, unrealistic and flat out ridiculous solutions that are not based on any scientific facts, and are hopeful at the very least. What we need to solve plastic pollution is to stay focused on the realities and facts of where plastic waste is being disposed of; which are landfill environments. The facts are that over 90% of all plastics are disposed of in landfills. You may not like hearing that, but none the less, it is a fact and one that cannot be ignored (although some try really hard). Once we come to the realization of where plastics are being disposed of we can develop solutions that best fit these existing infrastructures. For example; here in the United States, plastics will end up predominately in landfill environments with a seriously distant second being that of a recycling environment and lastly some plastic are incinerated or becomes litter. There are no (zero, none, zippo, nada) industrial composting infrastructures that readily accepts and processes industrial compostable plastics. And, when you look at the science behind many compostable plastics they do not scientifically show to be a solution to plastic pollution. Knowing this fact about where our plastic waste is being disposed of in it leaves us with our two existing infrastructures of landfills and recycling. Again, you may not like this reality but to ignore this fact would be ignorant and would prevent real solutions from being implemented that would actually make a difference. Recycling basically takes care of itself, if the plastic material is recyclable and that item is placed in a recycle facility it will most likely get recycled. 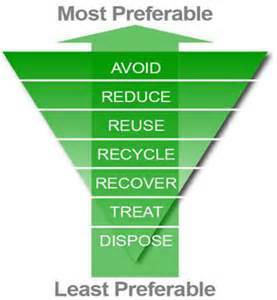 Keep in mind that placing plastics into the recycle bin does not make that plastic become recycled. Only specific types of plastics are recycled, these are based on the economics of recycling that specific type of plastic. But what about the +90% of plastics being disposed of in a landfill environment? Did you know that landfills today are designed significantly different than they were 20 years ago? Modern landfills are designed to manage the gases that are created as a result of biodegradation. When carbon material (food, plastics, yard waste, plant debris, etc.) is disposed of in modern landfills the biodegradation process from microbes creates methane gas. Methane gas is also called natural gas and is flammable. Modern landfills collect and convert landfill gases to energy. Today, over 74% of municipal solid waste is disposed of in landfills that capture and convert landfill gas to green energy – and to top that off, it is the least expensive form of green energy available, cheaper than hydro, solar and wind. This process of converting landfill gas to energy is already happening today, there is nothing you or I need to do to make this happen, except to just change the way we think about plastics. What if plastics could be designed to be recycled (when and where possible) and also biodegrade when disposed of in a landfill, where the gases generated from the biodegradation process would be collected and burned to create green energy? 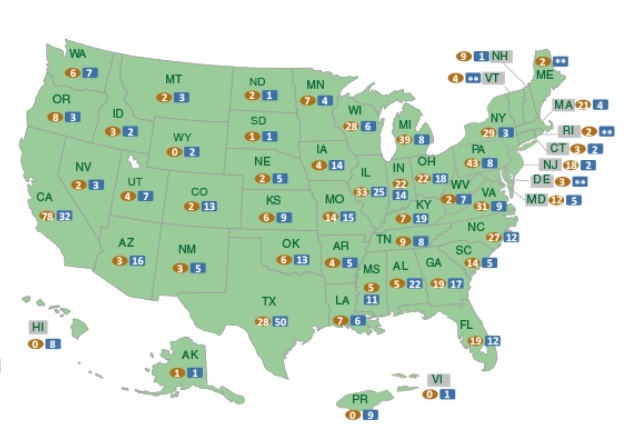 Did you know that nearly all of the states that make up the United States have landfill gas to energy included in their green energy portfolios? This is all happening today and all we have to do is be smarter about our plastics! 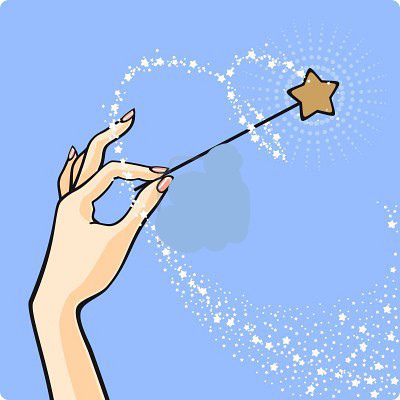 Some might call this magic, magical or even voodoo; but here at ENSO Plastics we call it Science – a fact of life or reality! Come check it out for yourselves. Let’s move away from believing in the magical or hopeful yet- to- be- created solutions for plastic pollution and focus on science, facts and data to start making a difference today. This entry was posted in Biodegradation, Latest Blogs, Product Innovation, Thought Provoking and tagged biodegradable plastics, biodegradation in landfills, landfill biodegradable plastics, landfill biodegradable plastics are good, landfills, microbes on February 5, 2016 by danny.clark. Its no argument that California is home to the largest population in the United States. With over 37,000,000 California residents, Californians no doubt produce A LOT of waste. In fact the state produces over 42 million tons of waste per year. 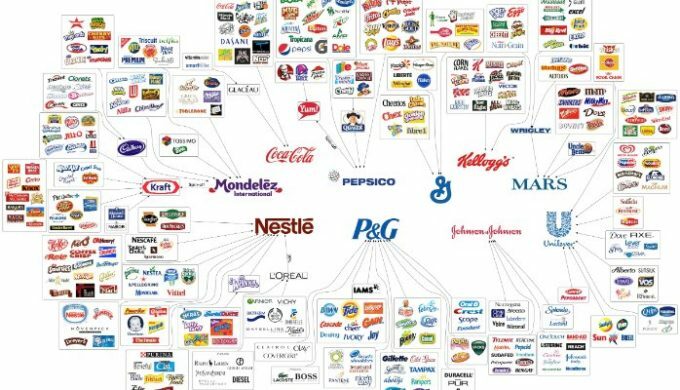 The majority, I mean the vast majority of this waste being disposed of into landfill environments. When organic material (not the Whole Foods organic, the carbon based organic) is disposed of into landfill environments the biodegradation process of organics in these type of environments (low oxygen) produces a tremendous amount of methane gas. This gas, (methane) is a very potent greenhouse gas and if not handled properly would be very bad to release into the atmosphere. Luckily we have solutions for handling the methane produced from landfills. The California Energy Commission recognizes that a good solution to handling the methane gas that is generated from landfill sites it to collect the gases and convert it to green energy. 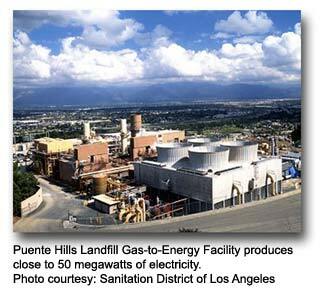 As of July 2013, California has 78 operational landfill gas recovery projects with 32 additional landfill candidates. In 1995, the 42 landfill gas to energy sites produced a total electricity production of about 246 megawatts. Today with over 36 additional sites the production of electricity is much higher. Landfill gas to energy has been commercially utilized in California now for several decades with the state including landfill gas to energy as part of its green energy portfolio. If California and nearly all other states within the United States recognize the value in converting landfill gas into energy, wouldn’t it make since that we take measures to ensure that the waste that goes into landfills would biodegrade within the managed time-frame of that landfill? If you answered yes, you would be thinking the same way we do and this is why our ENSO RESTORE landfill biodegradable additive is such a value added technology. Plastics enhanced with ENSO RESTORE allow brands, manufacturers and consumers to know that regardless of it that plastic item will end up disposed of in a recycle stream or landfill it will provide a value outlet and will no longer be looked at as just waste or garbage. 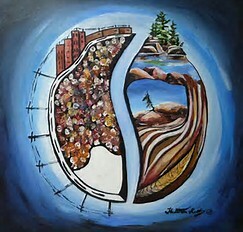 This entry was posted in Biodegradation, Environmental News, Latest Blogs, Thought Provoking and tagged biodegradable plastics, california energy commission landfill gas to energy, green energy, landfill biodegradable plastics, landfill electricity, landfill gas to energy on January 21, 2016 by danny.clark. Landfill gas is the product of the anaerobic decomposition of organic materials in a landfill. Methane comprises approximately half of this gas and can be converted into a renewable energy product. The EPA established the Landfill Methane Outreach Program to promote landfill gas beneficial use projects by partnering with states, local governments and the private sector. This program is a cornerstone of federal renewable energy initiatives. What kind of energy can landfill gas produce? Electricity generation is the most common energy recovery use, with two-thirds of existing projects producing this form of renewable energy. One third of the projects directly use landfill gas in boilers, dryers, kilns, etc. Companies using landfill gas include BMW, SC Johnson, Tropicana, Ford, Dupont, Honeywell, Sunoco, General Motors, Fujifilm, Dart, Stouffers, Anheuser Busch, Frito-Lay, and many more. How many landfills convert gas to energy? According to EPA’s Landfill Methane Outreach program, as of July 2013, 621 landfill gas energy recovery programs are operating in the United States and approximately 450 other landfills are good candidates for these projects. What are the energy benefits of using landfill gas as a renewable energy source? As of October, 2012, existing recovery projects produced annual amounts of 14.8 billion kilowatt-hours of electricity and 102 billion cubic feet of landfill gas for direct use. EPA estimates these products provide annual energy benefits of powering 1 million homes — a little fewer than in the state of Nevada and heating 736,000 homes — about the number of homes in Maine. What are the environmental benefits of using landfill gas as a renewable energy? In addition to the energy conservation benefits provided by converting landfill gas into a renewable energy product, reduces greenhouse gases produced by fossil fuels such as natural gas, coal, diesel or other fuel oil. EPA estimated for 2012 that landfill gas recovery projects had an annual environmental benefit of carbon sequestered annually by more than 21 million acres of pine or fir forests OR carbon-dioxide equivalent emissions from 238 million barrels of oil consumed OR annual greenhouse gas emissions from 20 million passenger vehicles. Landfill gas recovery is recognized by EPA’s Green Power Partnership and 37 states as a source of green, renewable energy. Landfill gas is generated 24 hours a day, seven days a week. Its generation is not dependent on environmental factors such as the amount of sunlight or wind. In fact, landfill gas supplies more renewable energy in the United States than solar power. Landfill gas recovery has an on-line reliability of more than 90 percent. This entry was posted in Biodegradation, Environmental News, Good Causes, Latest Blogs, Product Innovation, Thought Provoking and tagged biodegradable plastics, green energy, landfill gas, landfill gas to energy, landfilling biodegradable plastics, landfills on December 9, 2015 by danny.clark. This entry was posted in Biodegradation, Uncategorized and tagged biodegradable plastics, environmental folklore, landfill biodegradable plastics, landfill gas to energy, TED Talks on November 5, 2015 by danny.clark. Enter the mighty mealworm. 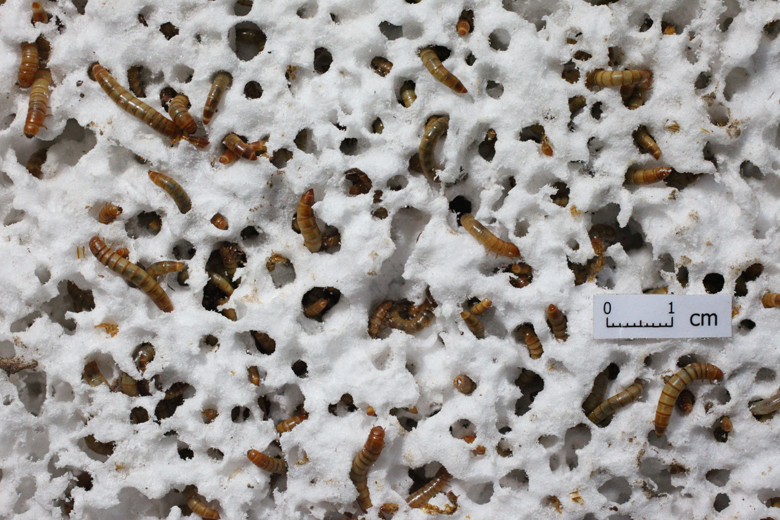 The tiny worm, which is the larvae form of the darkling beetle, can subsist on a diet of Styrofoam and other forms of polystyrene, according to two companion studies co-authored by Wei-Min Wu, a senior research engineer in the Department of Civil and Environmental Engineering at Stanford. Microorganisms in the worms’ guts biodegrade the plastic in the process – a surprising and hopeful finding. “Our findings have opened a new door to solve the global plastic pollution problem,” Wu said. Researchers led by Criddle, a senior fellow at the Stanford Woods Institute for the Environment, are collaborating on ongoing studies with the project leader and papers’ lead author, Jun Yang of Beihang University in China, and other Chinese researchers. Together, they plan to study whether microorganisms within mealworms and other insects can biodegrade plastics such as polypropylene (used in products ranging from textiles to automotive components), microbeads (tiny bits used as exfoliants) and bioplastics (derived from renewable biomass sources such as corn or biogas methane). As part of a “cradle-to-cradle” approach, the researchers will explore the fate of these materials when consumed by small animals, which are, in turn, consumed by other animals. Criddle’s plastics research was originally inspired by a 2004 project to evaluate the feasibility of biodegradable building materials. That investigation was funded by the Stanford Woods Institute’s Environmental Venture Projects seed grant program. It led to the launch of a company that is developing economically competitive, nontoxic bioplastics. Co-authors of the papers, “Biodegradation and Mineralization of Polystyrene by Plastic-Eating Mealworms. 1. Chemical and Physical Characterization and Isotopic Tests” and “Biodegradation and Mineralization of Polystyrene by Plastic-Eating Mealworms. 2. Role of Gut Microorganisms,” include Yu Yang, Jun Yang, Lei Jian, Yiling Song and Longcheng Gao of Beihang University, and Jiao Zhao and Ruifu Yang of BGI-Shenzhen. This paper is really fascinating as it moves us forward in helping the mainstream understand the importance of microbes in dealing with waste. The earth has been around for billions of years, with microbes having been here for the past millions. These microscopic organisms are very adaptable and I believe will continue to show their importance with helping humans deal with the pollution that we generate. All animals create waste of some kind and these little guys are here to help break down that waste into the building blocks of nature. Its the same concept that ENSO has pursued since our beginnings; use nature as an example of how to manage waste. This entry was posted in Biodegradation, Environmental News, Latest Blogs, Thought Provoking and tagged biodegradable plastics, biodegradable plastics are real, mealworms eat plastics, mealworms eat polystyrene on October 6, 2015 by danny.clark.